An American actress who is renowned for her roles, Angela Moss in the television series, Mr. Robot is non-other than, Portia Doubleday. Likewise, she is also known for appearing in films such as Youth in Revolt and Big Mommas. The gorgeous actress, Portia was previously in the relationship Australian actor, Alex Russell. The couple dated each other for several months and then separated. After that, she then dated an American actor, Rami Malik who is the main character of the television series, Mr. Robot. Portia Ann Doubleday was born on June 22, 1988, in Los Angeles, California. She rose up in a show business family, which includes her father, Frank Doubleday, and mother, Christina Hart. Similarly, she has an older sister named Kaitlin who is also an actress. Portia completed her education from the Los Angeles Center for Enriched Studies, a magnet school situated in West Los Angeles. There she played soccer for several years. However, later she left playing football and began to hone acting skills. So far, till the date, Portia has appeared in two television series, Mr. Sunshine and Mr. Robot. Currently, she plays in series, Mr. Robot as a role Angela Moss along with several actors such as Christian Slater, Grace Gummer and so on. The 29 years old American actress, Portia is currently dating an American actor, Rami Malek. He is a main character of the television series, Mr. Robot. The boyfriend and girlfriend started dating each other since the year of 2015. Mr. 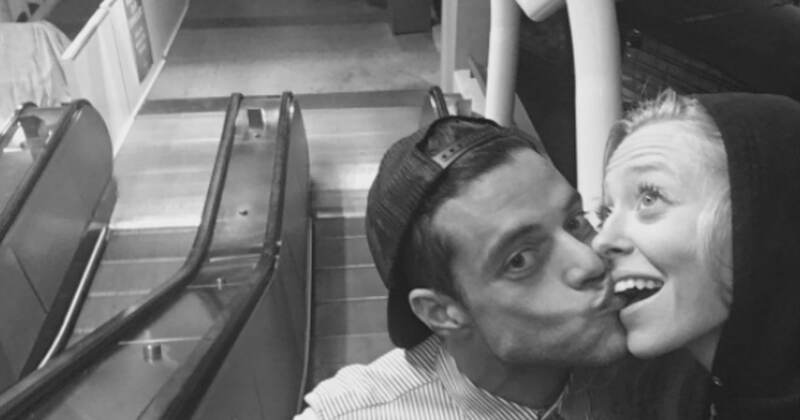 Robot actor, Rami Malek, and actress, Portia Doubleday kissing each other. Prior to Rami, she was in the relationship with an Australian actor, Alex Russell. However, their relationship did not last for the longer period and separated. Former girlfriend and boyfriend, Portia and Alex. The talented and beautiful actress, Portia has made an appearance in the numbers of films till the date. From her acting career, she earns a good amount of money. As of 2017, her net worth is estimated at around $2 million.